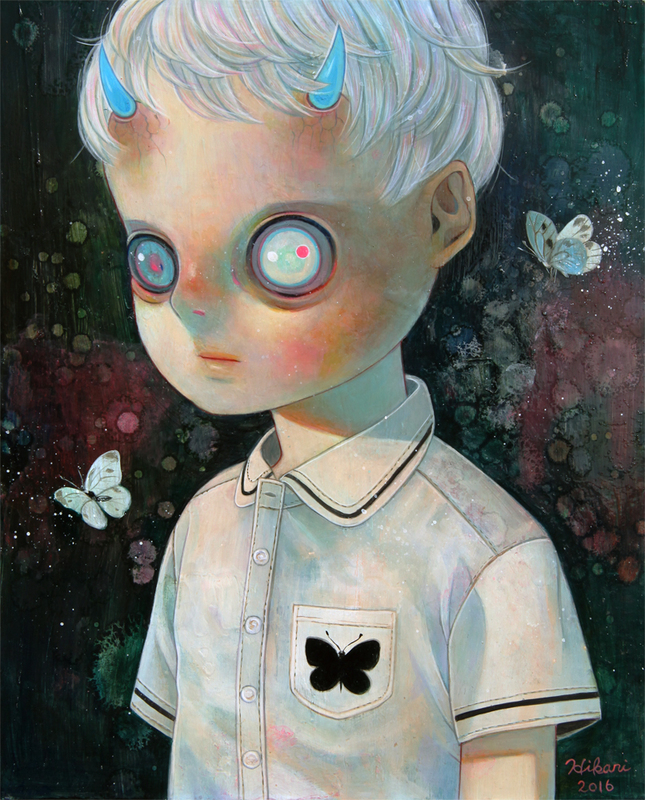 Home Blogs hikarishimoda's blog New Painting for Alexi Era Gallery's "Empathic"
New Painting for Alexi Era Gallery's "Empathic"
Hikari is participating in Alexi Era Gallery's upcoming group show, "Empathic" with a new addition to her "Children of Emptiness" series. 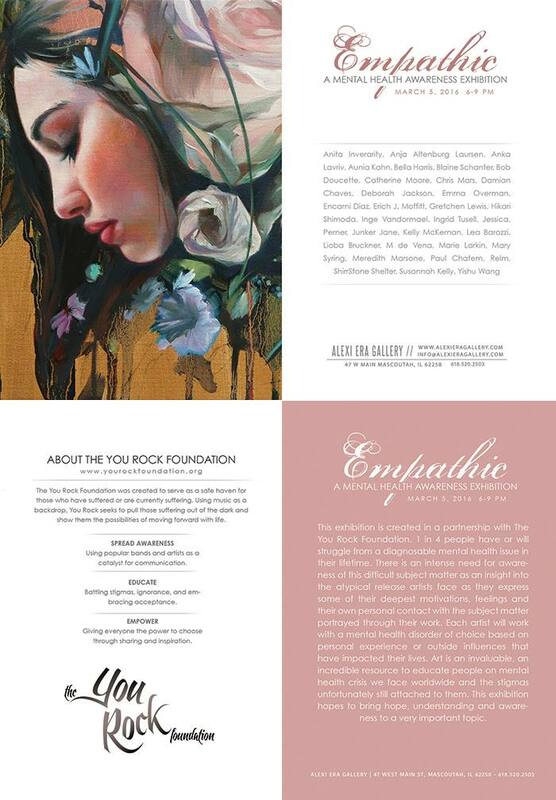 This exhibition is created in a partnership with the You Rock Foundation. One in four people have or will struggle from a diagnosable mental health struggle in their lifetime. There is an intense need for awareness of this difficult subject matter as an insight into the atypical release artists face as they express some of their deepest motivations, feelings and their own personal contact with the subject matter portrayed through their work. For more information, please check out the gallery's website- you can also RSVP on Facebook! 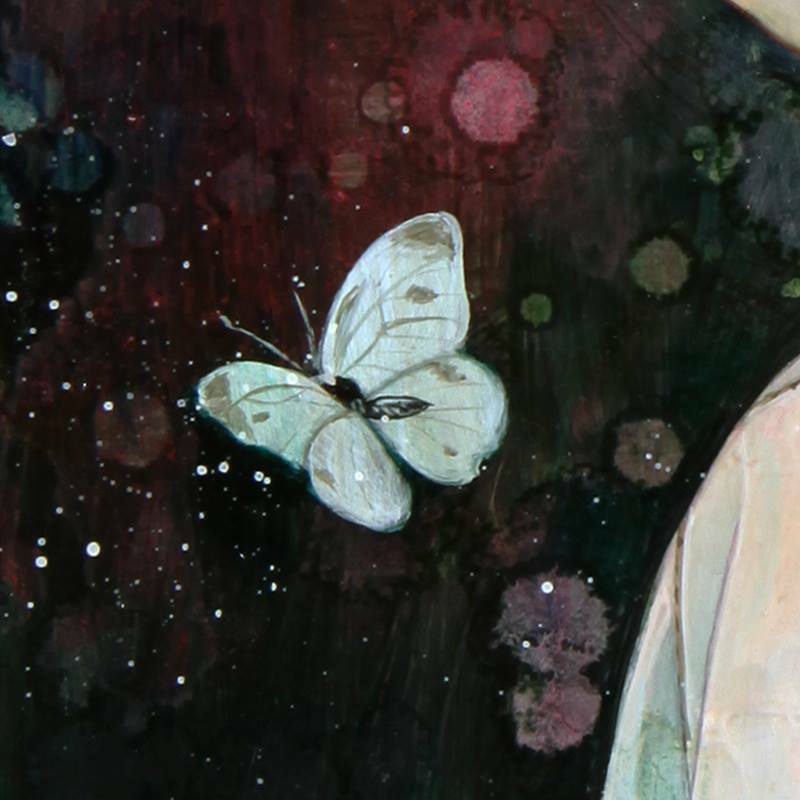 "Children of Emptiness - Cabbage Butterfly"
"The Japanese title is "Koku no Kodomo"- in my art, "koku" (meaning "empty sky") is used as a reference to a place where everything exists; there's no obstacles in between. The sky is an eternally constant empty space with unlimited depth and endless width. It is the only "eternal thing" we can see with our eyes. The children in this series are not painted from my imagination like the others, but rather they represent my own mind and feelings. In this sense, each is a sort of self-portrait. What first came to mind while creating this series was the image of a butterfly. Alexi Era's "Empathic exhibition will be on view March 5th through March 26th. For previews and purchase inquiries, please contact: [email protected].